Wake up naturally and feeling healthy with a body clock. 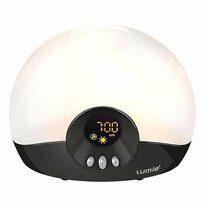 A Lumie Bodyclock is perfect for winter months when the sun doesn't rise until later in the morning. These unique alarms allow your body to wake progressively giving you a restful and fresh feeling in the morning.